At our next meeting is on Wednesday 17th December. This is our regular Christmas celebration, with our fun AV competition, based on a randomly set piece of music. Then the more serious aspect of the evening - Partying. Don't forget that the MCPF AV Championships (MIDPHOT) is our opportunity to enter one of the two local competions in the region. The event is being held again at Burton upon Trent on Saturday 31st January 2015 and entries need to be with the organisers by 10th January. I hope that you will all enter and even more importantly, come along to the competition at Burton on 31st January. It will be a great day out as usual. And one of our members will be part of the judging panel this year, Jeff Mansell has kindly agreed to join Eddie Spence and Tony Collinson to assess and comment on each of the entries. After a numvber of years when the event has been held at Wilmslow, this year the Great Northern Festival has changed 'management' and with it a new venue in the outskirts of Manchester. Howard Bagshaw and Alastair Taylor entered the field of 33 entrants, plus a futher 20 who entered for the 'New Horizons' competition for anyone who had not had success a major competition. Howard got an judges mention for 'Menin Road', but to everyone's delight, not least of all his wife's, Alastair Taylor was awarded a 'Highly Commended' for his sequence 'Made in Middlesbrough'. Here he is receiving his ribbon from one of the judges, Linda Gibbs and looking a very happy 'bunny'. All the results are here. The Midland AV competition organised by the regional branch of the IAC, The Jessops Rosebowl, was held on November 1st at Smethwick and the only entrant from our group (shame on the rest of us) was Alastair Taylor. I'm delighted to say that he was equal third with his sequence 'Made in Middlesbrough' and a commended for 'Morning has Broken'. The full results are here. Some of our members have recently entered AV competitions and achieved notable success. At the L&CPU AV Competition, Alastair Taylor was awarded a commendation for his sequence 'The Match'. 'On the Up', by Jeff & Pat Mansell was Highly Commended, whilst Howard Bagshaw's sequence 'Worth a Visit' came 2nd. An excellent outcome and possible because all these authors are also members of Wilmslow Guild AV group, which is in the Lancashire and Cheshire Photographic Union region. Full results here. Alastair Taylor also enter 'The Match' at the 'IAC Peter Coles International' held each year at Capel Curig. 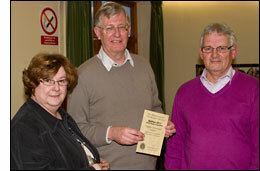 He was awarded a 'Judge's Special Mention', congratulations to Alastair. Full results here. Howard Bagshaw entered the PECC International in South Africa and had two acceptances 'Y-Bae' and 'Guedelon' and was awarded the FIAP Silver medal for 'Sudursveit' . Full results here. 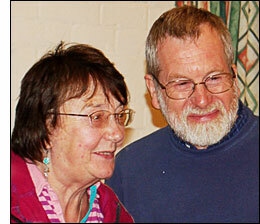 Last year Howard and Suzane Gregory came to talk to our group about 'Sound Editing'. 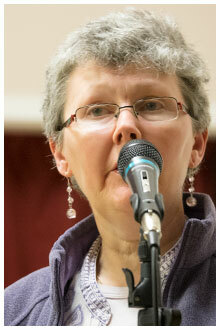 We were delighted that Howard responded so positively and in detail to the audiences' questions on that evening. However it meant that we didn't cover all the 'meat' of his talk and demonstration, nor did Suzanne have an opportunity to present her work and thoughts. So I'm delighted to say that they will be returning on Wednesday, 21st May to continue where they left off and take us into more detail of sound editing. An advanced alert that the 21st RPS International AV Festival will be held later this year. The event takes place at the Royal Agricultural College at Cirencester over the weekend of Friday 19th September to Sunday 21st September. This is the premier AV event in the UK and will attract entries from around the world. Should you wish to enter, you have until 2nd August. I would thoroughly recommend that you try to attend some or all of the weekend. Attendance for one day will cost £16, but there is a fully inclusive package for the weekend which costs £187 including all projection sessions, full board and meals including the 'Festival Gala Dinner'. Bookings need to be made before 30th August. One bit of news, Howard Bagshaw won't win anything this year, he can't, he's Chairman of the Jury. A link to the RPS website with all the Festival details is here. 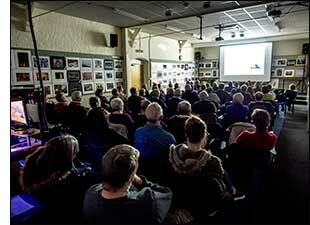 The winning entries from the Midphot AV Championships were shown at the Old School House, Oldbury, the clubrooms of Smethwick Photographic Society. Two shows, on the Saturday and Sunday, each lasting over an hour, presented 11 of the best sequences from this year's Midlands competition. The hall was pretty full, particularly on the Sunday when more than 60 people saw our AVs, including 'On the Up', 'Worth a Visit' and 'iTech'. We ran the 2014 Midlands AV Championships ! This the big Midland's Audio Visual competition and for the thrid year running we were in charge of the competition. It was held on Saturday 25th January at the Priory Centre in Burton upon Trent. There were 27 entries for the competition and on the day we had an audience of around 60 people. Alastair Taylor was the MC for the day and admirably kept the whole proceedings in order and on time. Shown over 4 sessions, we saw more than 3 hours of Audio Visual sequences, all of a good standard and some excellent. The judges, Keith Brown, Kate Brown and John Holt commented on each sequence after we had seen it, giving an insight into the strengths and weaker aspect of each. Refreshments, a most important part of a social event like this, were excellent and made the whole atmosphere of the event very positive. Below we see the judges, getting themselves organised with Alastair 'in charge'. Ralph Duckett welcomed the attendees and the audience chatted about their views of the sequences (Alan looks a bit doubtful). And on the bottom row, we see the three judges, Keith, John and Kate, giving feedback. 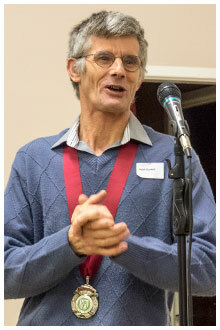 Ralph Duckett, President of the MCPF, presented the awards and a full list of those who won awards are available here. The winning sequence was 'The Power of Memories' by Richard Brown FRPS. Congratualations to members of our group: Alastair Taylor won the audience vote for session 1 for 'Made in Middlesbrough' (come to our next evening to see the sequence). Though not awarded a prize, Pat and Jeff Mansell's sequence 'On the Up' was selected by the judges to be shown at the gala presentation at Smethwick on 22nd/23rd March. Howard Bagshaw's sequence 'Worth a visit' was awarded a 'highly commended' and his sequence 'iTech' won Kate Brown's Judges MCPF Medal. Thanks to all who helped and supported this competition to make it an excellent event. If you want to see the winning sequences, they will be shown as part of the Midphot exhibition, around lunchtime on 22nd and 23rd March at the Old Schoolhouse, Oldbury. PTE gets updated at regular intervals. The latest incarnation, version 8, is in its last stages of development and a nearly finished beta version can be downloaded from the PTE website. Remember that you can have more than one version of PTE installed on your machine, so you can stick with you 'favourite version' while having the latest version available to play with. When I've had time to play with it, I'll let you know how it differs. Or perhaps someone out there will do a review which we can post? Note however that PTE has changed its charging policy and from now upgrades will be charged. Those who had 'lifetime' upgrades will now have to pay for new versions, which of course is not unreasonable. See here for details. The Great Northern: Entries are closed for this competition, but it is still possible to book to attend the competition, and/or other elements of this AV weekend. This is the last time the event will be run by Howard and Suzanne Gregory at Wilmslow and we are hoping for a great send-off. The competition is on the Saturday, 30th November, starting at 10:00am and going on until perhaps 6:30 when the judges will have made their choices. It is held at the Wilmslow Guild and futher details are available on their website. On the Sunday there will opportunities for attendees' sequences to be seen and discussed. This will be followed by four speakers, talking about their styles of work; Keith & Kate Brown, and Edgar & Linda Gibbs. This is an RPS North West Region event and details are available from Bill Greenhalgh. Midland Counties AV Championships (Midphot AV): This is the local event wich we run at Burton. Most of the sequences which we see members produce and show at our own competitions and members evenings would be suitable for entry into this competition. Why not enter and see how you fare against other local workers? Entries need to be in by Sat, 4th January 2014, so you have the Christmas holidays to work on your entry. Come along and watch the competition which is being held in Burton on Trent on Saturday, 25th January, starting at 10:00am. More information here. PECC International AV Festival, South Africa: This is a new AV Festival and competition being run by AV workers from Port Elizabeth, South Africa. It is one of the very few with FIAP patronage and should be a truely international entry. Closing date for entries is 15th March 2014, the event will be judged 21-22 March and there will be a public showing of the sequences on 3rd May at the PSSA AV Convention in De Rust, South Africa (Fancy a trip over?). The competition details are available here. An entry form is also available here. The Royal Photographic Society held its National Audio Visual Championships, at the University of Nottingham, Sutton Bonington on the weekend of 13th-15th September. There was a slightly reduced entry this year, 54 sequences in all, of which 5 were from members of our group. It is a great pleasure to report that we had a lot of success. Particularly pleasing was that Alastair Taylor entered for the first time, with two sequences and his sequence 'The Match' was awarded the medal for the best sequence by a first time entrant. The award, the 'George and Doreen Pollock medal', celebrates the founding work that the Pollocks made in AV. Sadly Lady Doreen Pollock died this year and, at the Nationals, Richard Brown showed some of her sequences in celebration of her life. These were tape/slide sequences and stood up very well against much of today's digital work. 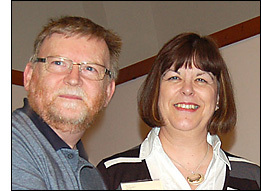 Alastair was not at the Nationals (he received the news of his success while in the airport at Chicago, waiting for a flight home), so was presented later with his medal by Suzanne Gregory, one of the jury members. The second award to members of our group went to 'Special' (yes, I know, surely it can't have been shown yet again! The authors promise never to show the sequence again, or put it into another competition). The sequence was awarded the RPS Bronze medal for coming third. The gold medal went to Malcolm Imhoff for his sequence 'Soul Music' which also won our local competition, Midphot, last year. Suzanne presented the award to Jeff and Howard. Full details of the event and results are available on the RPS website (or click here). At our September meeting we held our Annual General Meeting. Minutes of the meeting will be made available to members. We also had a guest speaker for the evening. Dr Jeff Morris LRPS APSSA AFIAP gave a fascinating talk about AV in South Africa and showed a range of sequences from a number of South African AV workers. We saw a variety of styles and different techniques which enthused our audience. 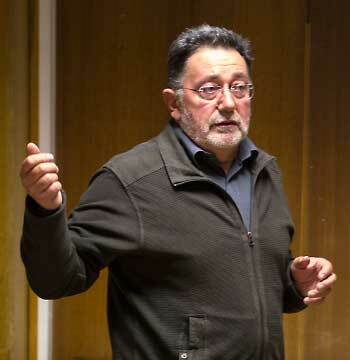 Jeff also showed a couple of his own sequences, including 'Bethulie' a story of the treatment some black South Africans received at the hands of the British, following the end of the Boer War. It highlighted two points, first the sequence was narrated in Africaans and showed the difficulty of 'foreign' narration, even though there were effective sub-titles. It also showed the audiences' lack of knowledge of aspects of British history. A sequence that evoked strong discussion. Thank you Jeff, a very enjoyable evening. We had 11 entries for our Annual Competition on 15th May. This year our judge was Paul Windmill, one of the 'founding father' of AV in Staffordshire. We saw all but one of the entries. My sincere apologies to the author of that sequence for the insane behavior of the virus checker, which not only requested the sequence, but also wiped it from the memory stick - an aggressive form of pre-selection. Paul commented on each of the sequences, pointing out the strengths of many of them and offering some observations on how others might be improved. 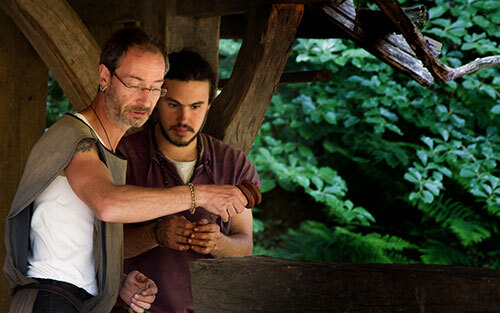 He awarded 1st place, and the award for the best sound track, to 'Guedelon' by Howard Bagshaw. 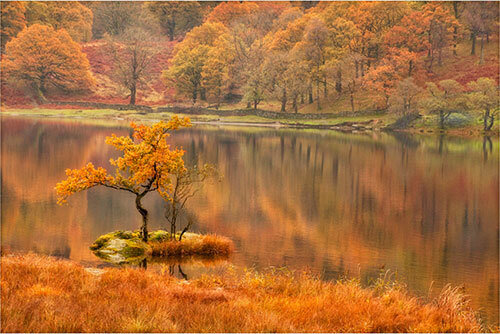 'Rydal Water in Autumn' a sequence, which used photographs of the lake and trees, dissolved to produce effective 'third images' and set to an evocative soundtrack. Paul placed the sequence 'Katikati' in third place. 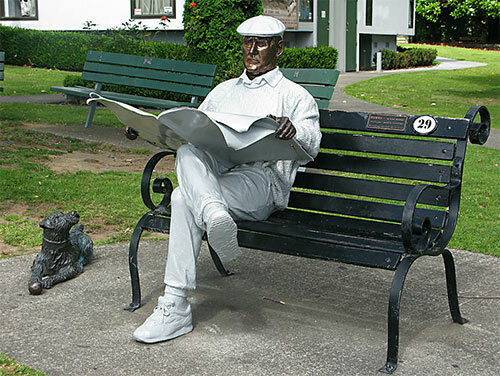 This sequence, by Miles Caven, told the story of the town of Katikati, its history and particularly focused on the extensive murals which decorate the town, telling of its history. The audience placed this sequence second. Congratulations and thanks to all entrants for producing very enjoyable sequences. Many thanks to Paul Windmill for judging and commenting sensitively on our work. Our group organised, managed and ran the Midlands Counties Audio Visual Championships again this year, on 26th January, an event more coloquially known as Midphot AV . The weather threatened to be bad, we had an Met Office 'Amber Snow Warning' and a few inches of snow on the morning of the event. But the audience turned out, over 40 of them, to watch the 27 sequences which had been entered. I'm delighted to say that members of our group did particularly well winning all three of the judges awards. Alastair Taylor got the award for his sequence 'The Match', Jeff Mansell for 'Val's Story' and Howard Bagshaw for 'Guedelon'. 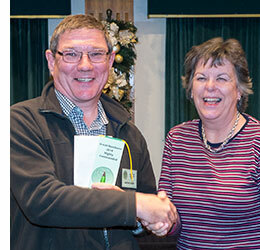 The overall winner was Malcolm Imhoff from the East Midlands AV group. 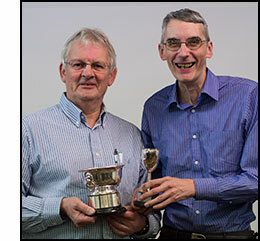 The audience vote awards were presented by the President of the Midland Counties Photographic Federation (MCPF), Ralph Duckett MPAGB EFIAP APAGB. The judges awards will be presented at the Midphot presentation evening on Wednesday 20th March at the Old Schoolhouse, Oldbury. The winning sequences will be shown as a gala show at Midphot on Sat 23rd and Sun 24th March, at the Old School House as part of the Midphot exhibition. Many thanks to all the members who helped out before and during the day in making the event such a huge success. Each November a regional AV competition is held for members of the IAC (Institute of Amateur Cinematographers), also known, because of the prize, as the 'Jessop's Rosebowl' competition. Jeff Mansell being awarded 1st prize and the award for the best sound track for 'Val's Story'. 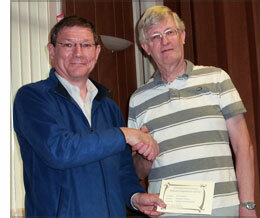 Jeff is seen here receiving his awards from Richard Brown, organiser of the event. We were delighted to have this opportunity to see and hear Jacques and Jean Paul talk about their sequences and to see a number of their, often very emotional, AVs. We started with a sequence by Jacques which looked at the miner's strike of 1984 and, over the next 12 or so sequences, we saw the development of their ideas and skills in AV production. We finished with their latest collaboration, 'The Great Prairie', a stunning masterpiece in the use of the facilities of modern AV software. We were dlighted that a number of people came from quite a distance to see the evening's presentation, including the President of the PAGB, Peter Cheetham and a member of the RPS distinctions panel, Richard Brown. Thanks to all who attended. RPS ribbon for the best documentary sequence, 'Special', at the recent RPS International Audio Visual Championships. 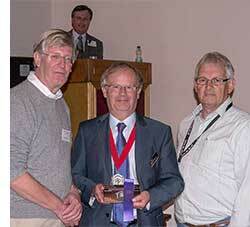 Jeff and Howard were presented with their award by the President of the RPS, Roy Robertson (Hon)FRPS. Remember that you can hear two of the judges talk about and show their work on Wednesday 19th Sept at our September meeting. At the May meeting a short discussion led to the chosing of a 'theme' for the Christmas fun competition. It was agreed that this year we will all use the same images to make our sequence. There will be a common bank of around 40 images, all or some of which can be used to make the sequence. In addition 6 images of the author's choice may be added. A time limit of 5 minutes was suggested. 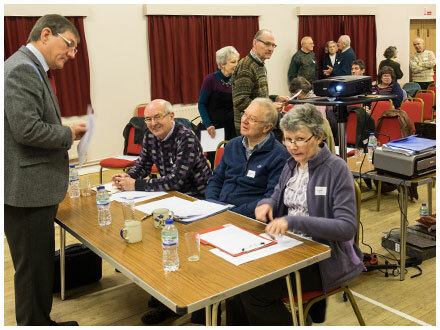 Images will be available at the June meeting of the group (bring along a memory stick to download them), or they will be available to download from this website in mid June. Other groups, who have tried this, say that the resulting sequences are very varied. Let's have some fun !! It is with enormous pleasure that we have been able to host the Midlands venue of the RPS AV Group International lecture tour. 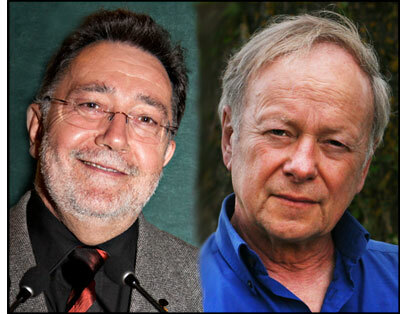 The RPS International, held in Cirencester in September, always includes some international judges. This year the judges include Jean-Paul Petit from Paris and Jacques van de Weerdt from Belgium. Following the International competition, Jean-Paul and Jacques are to give three lectures, at Derrington, Wilmslow and Wokingham. They are both noted AV producers who have worked together at times to produce stunning sequences. 'La Grande Prairie', their most recent collaboration gained 3rd place at the recent 'Peter Coles IAC International competition' held at Capel Curig. The meeting will be opened up to guests at a cost of £8. Please promote this talk if you have the opportunity as it is very rare to have continental speakers of this calibre giving lectures in the UK. Just out of interest, have a look at the pictures of Jean-Paul, Malcolm Imhoff and Peter Cheetham (below). Are they all the same person? Held every other year, the RPS International is the premiere AV event in this country where the best work from both the UK and from across the world is shown and judged. It will be held in Cirencester on Friday 14th - Sunday 16th September. Hosted at the Royal Agricultural College, a fully residential package is available as well as the opportunity to drop in just for a day. Do seriously consider either entering or attending. In the absence of our judges, because of ill health, the Annual competition was judged 'at a distance'. However Maggie and Malcolm Imhoff sent us their comments about all the sequences and their results, which were announced at our May meeting. Cups and certificates were presented to the winning authors. 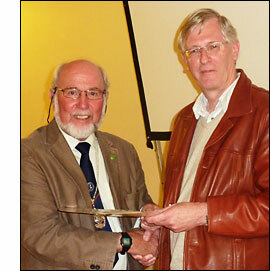 Here Howard is presenting Alastair with a cerificate, or is it Alastair presenting Howard? Congratulations to all entrants for some excellent sequences . 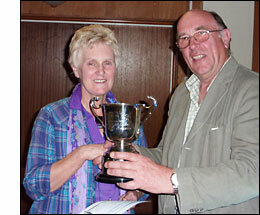 Our annual competition, which is being held on Wednesday 18th April, will be judged by Maggie and Malcolm (FRPS) Imhoff. 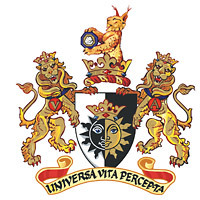 From the west midlands, they have both been invoved in making AVs for many years. 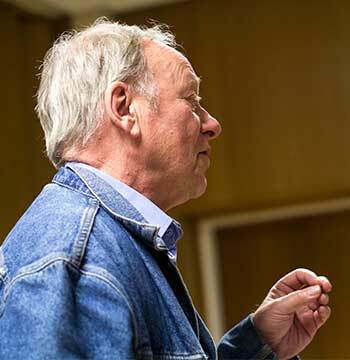 Malcolm is an experienced and respected appraiser of AVs, having judged many distinguished events, such as The Great Northern Festival, the Wilmslow Guild Open, the Geoffrey Round International, and the 321 International. 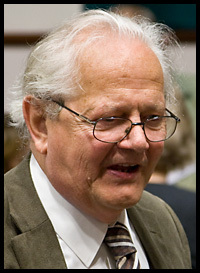 In 2007 he was honoured to be invited to be Chairman of the Jury at the National AV Festival. He is a Fellow of the Royal Photographic Society and has served on both the RPS Audio-Visual Distinctions Panel and the PAGB Audio-Visual Distinctions Panel. The PAGB have been consulting recently on the nature of AV, in relation to what is acceptable for submissions for PAGB distinctions. They have published the folowing definition, which they will adopt in their next distinctions adjudication on 20 October 2012. They will expand on these criteria and attributes in time, through the PAGB's e-news. 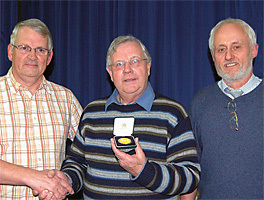 The Audio Visual competition of MidPhot 2012 took place at Burton upon Trent, on the last Saturday of January. This year our group took over the running of the competition. There was a good entry of 31 sequences from many clubs around the Midlands. On the day more than 60 people turned up to see the sequences and to hear the comments and judgement of the 3 Judges, Suzanne Walker ARPS, Howard Gregory and Gordon Nicklin. A number of members of the group entered and Judges' awards were given to Jeff Mansell for 'The Magic of Trentham' and to Howard Bagshaw for 'Ride to the Wall'. 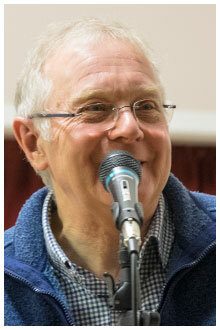 Alastair Taylor,who was MC for the day also received a Commentation for his sequence 'Red Ochre'. The overall winner was Richard Brown from Fentham PS, with his sequence 'The Man who Saw the Furure'. 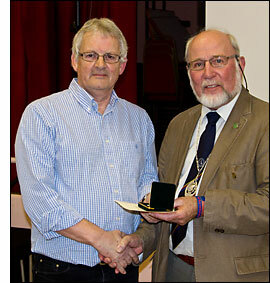 The awards were presented by the President of the PAGB, Peter Cheetham APAGB, seen above presenting Jeff Mansell with his MCPF medal. For all the results click here. There will be a public showing of the winning sequences at the MidPhot exhibition on 24th & 25th March. Thanks to all the members who entered the fun Christmas competition with a them of 'Lines, shapes or textures', though 'colours' also got included in some entries! Anyway, there were 14 enjoyable and varied entries. The popular vote winner was for 'y bae' by Howard. A bit of competition news, Jeff Mansell and Howard Bagshaw won the Great Northern AV Competition last December with their joint sequence 'Special'. Full list of entries here. On 29th October, at Braunstone, the PAGB held an AV awards day where photographers could apply for PAGB distinctions. Of the 10 applicants, five were successful, 4 gaining DPAGB and one gaining MPAGB. 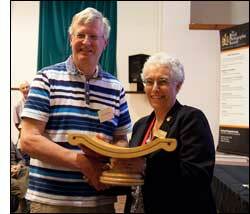 The MPAGB (Master of the Photographic Alliance of Great Britain) was awarded to one of our members, Howard Bagshaw. He is only one of five people in the UK who hold this award in AV. 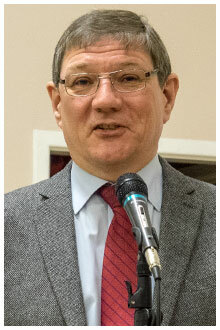 Peter Cheetham APAGB, President of the PAGB. If you want a slightly wider view of what is happening in AV, around the Midlands, you might be interesting in looking at the new AV website for this part of the country: www.wmid-av.org.uk . The latest version of PTE, version 7, is now released. New features include "...Video Clips in Slideshows, Unsharp Mask for Sharp Picture, Improved Quality of Picture on DVD and Improved Graphical Interface of PicturesToExe..."
There is also a new pricing structure for PTE. If you are buying for the first time, you will not get free updates for life, but will have to pay for new versions. However, existing users will retain their current 'free for life' status on the standard version. Click here for details. The Royal Photographic Society has spent a year reviewing its distictions in the areas of AV and video. They have announced that a new panel, entitled 'Multimedia & Narrative' will be awarding distinctions (LRPS, ARPS and FRPS) in this new area. The full details are still being worked out, but it looks like it will be possible to gain distinction for AV sequences which include animation, video and also contain some third party images. The same panel will also make awards in video and web based productions. An article by Mike Hallett FRPS, (Chairman of the Distinctions Advisory Board) describing the new distinction, is in the RPS Journal. or for a quick guide download the pdf here. Midphot AV competition, regional competition, being organised by Staffs AV group and being held this year at the Priory Centre, Burton upon Trent on 28th January 2012, entries by 7th January. At our June meeting, members decided that the theme for our Christmas competition, to be held on 21st December will be 'Shapes, Lines or Textures'. The time limit is 12 minutes maximum. Recent competition successes include a FIAP acceptance for Howard & Jeff's sequence 'Special' at the 50th Epinal Festival, acceptance also for 'Tough Guy' and a silver FIAP medal for 'Migrant Mother', both by Howard. Howard and Jeff also entered a reduced length version of 'Special' in to the MFFC South African Salon and were delighted to be awarded the Gold Medal in the 'Documenatry & Tourism' category. And finally in the 'International season', 'Special' with French sur-titles also got a distinction in the Trophee de Paris, judged by 29 Parisian camera club enthusiasts. The Annual Competition took place on 20th April 2011. 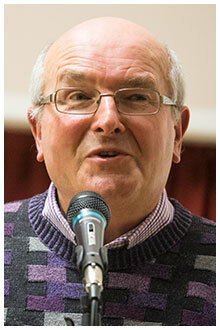 The judge for the evening was Gordon Nicklin, from the Worcester AV group and Wolverhampton Photo Society. The audience voted for Beryl Slade's 'H.A.P.P.Y' as their favourite sequence. The latest version of Pictures to Exe is available to try out. It is still in it's beta version, i.e. still in development and will have bugs, but it has some new features, including one which ProShow users have had for some time, the ability to include video in a sequence. As always, to download a version of PTE, go to their website www.wnsoft.com and then to the Forum area. The link is from one of the Forum items. Please note that, as usual, you can download this version without it overwriting your existing version. Just beware that a sequence made in this version cannot subsequently be put into your existing version and edited. Peter's Funeral took place at Hebden Bridge on 8th May.
" 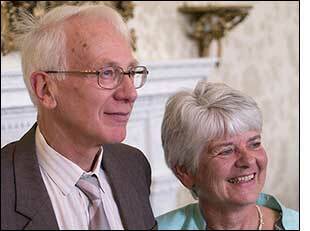 Its with great sadness that we have to inform you that Peter died this morning in hospital following heart problems. You will be pleased to know he was working on a new AV sequence yesterday afternoon in his hospital bed. His family were with him at the end." Congratulations to Jeff and Howard for their entry to the Geoffrey Round competition. Their sequence 'Special' was awarded the runners-up cup for second place in this International compeition. To see all results click here. 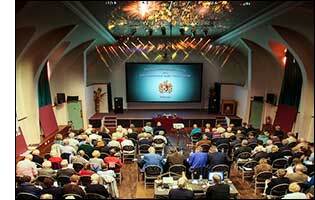 At our meeting on Wednesday 16th March the talk was entitled "Digital Magic Lantern Show". Edgar and Linda gave us an excellent evening, looking particularly at their approach to sound, it's recording, and the way they put a sound track together. This was illustrated by sequences such as their excellent 'Talbot House'. 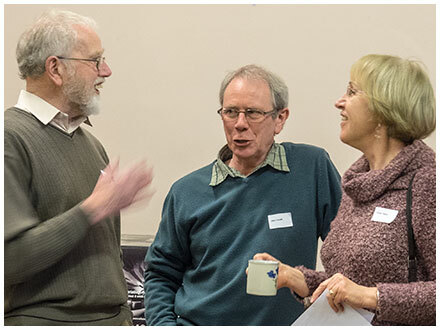 If you want to imerse yourself in AV for a few days and get the best tuition you can imagine, Keith Brown and Richard Brown are running a residential summer school again in Hope, Derbyshire, from 4th-7th July. With only 6 places on the course, you are guaranteed personal attention. Click here for a Word document for more information. Tony Winfield, Jeff Mansell and Howard Bagshaw entered the recent MCPF 'Midphot' AV competition. All entries received a very good response from the audience. Howard's sequence 'Staethford' won a commendation while Jeff and Howard's joint entry, 'Special' was awarded Keith Brown's judges award. To see all results click here. 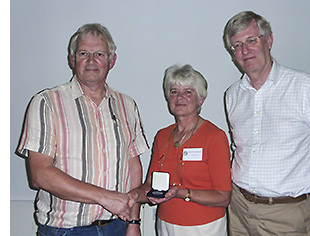 Judith Parry (MCPF Chair) is seen presenting the award to Jeff and Howard. Congratulations to all entrants and to the organiser, Peter Brown. Peter is standing down from running the competition having done so for many years, so from next year the Midphot AV competition will be organised and run by Stafford AV Group. There were 7 entries for our Christmas fun competition, all on the theme of 'Where I Live', but all with quite different subject matter. Congratulations to all who entered and particularly to those who were selected by audience vote. From 74 international entries, Howard's sequence 'Migrant Mother' was awarded first prize. This is the first outright win by a Brit in this competition since 1994. 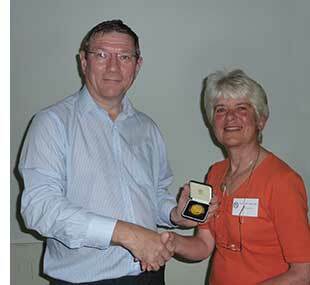 Howard is seen here receiving his award from the RPS President Mrs. Rosemary Wilman, Hon. FRPS. There is a new article in the 'Resources' tab on Multimedia story telling, one way the press has taken on board the advantages of AV in presenting the news. Have a look and follow some of the links. The Annual Competition was held on April 21st. The judge was John Holt ARPS DPAGB. 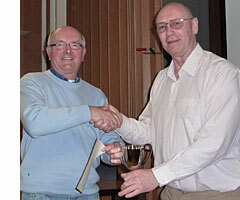 The picture alongside shows John (on the left) awarding the cup for the best sound track to Terry Chinchen. There were 14 entries from 10 members, covering a range of subject matter and styles. Click here for a pdf of all entries. Thanks to all those who entered. Howard Bagshaw for 'Migrant Mother'. Terry Chinchen for 'Puzzle Wood'. The 'Stafffordshire AV plaque' for 3rd place went to Phil Gee for 'Two men, one Goal'. "Thou shalt not' by Ray Taylor, 'Devotion' by Alastair Taylor, 'Farne Islands' by Howard Bagshaw and 'Every Dream is Different' by Tony Winfield were each awarded a Judges Commendation. The audience voted 'Migrant Mother' by Howard Bagshaw the best sequence. 'Tough Guy Challenge', (a shorter version of his similarly named sequence which is available to view on the Resources page of this site). Much to his amazement Howard won the Documentary/Travelogue section and was awaded a PSSA silver medal. This was presented by Alastair Taylor at the April meeting of our group. Full results available on this link. Also at the 21st March meeting we looked at ways of adding more interesting text to sequences and adding narration inexpensively. The 'Samson Go Mic', a £35 USB cardioid microphone was demonstrated. There is a brief review, including sound samples, in the Resources tab. You will also find info about downloading new fonts. At the first meeting of the new year, on the 20th January Martin James, from Newport Photographic Club, talked about and showed us examples of his use of timelapse photography to make video sequences. For lots of information about how to do timelapse photography have a look at his site at www.tf10.co.uk/ . Putting sequences on the web for friends to see has always been a bit fraught. Not least because of the situation regarding the use of copyright music. In the latest copy of the IAC 'Film & Video Maker' magazine, the IAC reports that films/video/AV sequences using copyright music can be put on YouTube, provided you have the appropriate copyright clearance licences. I've put a couple of sequences on this site, under the 'Resources' tab. Interestingly, YouTube came back saying that the sequences appeared to contain copyright music, they would leave them up, but added adverts. I have sent off the dispute form and await developments. A newsletter from the PAGB (click here to download the newsletter), reiterates the situation about obtaining licences to use copyright music. One fact I didn't know is that members of clubs affiliated to the PAGB can buy licences. It states that "...Both the MCPS and BPI Licence can be purchased by members and clubs affiliated through Federations to the PAGB for £8.54 including VAT and clear all dubbings and recordings made within the 12 months FOR ALL TIME. " Our group is not affliated to the PAGB, but you may belong to a camera club that is. Congratulations to the four members of our group who entered the Great Northern AV competition. Terry Chinchen entered his hilarious sequence "The Policeman" which got the biggest laughs and loudest applause from the audience. Jeff Mansell and Phil Gee entered "A Case for Conan Doyle", the first time they had entered the Great Northern. 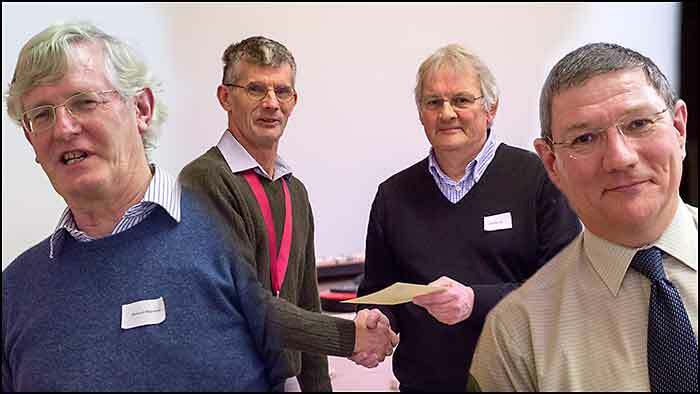 Everyone was delighted that they not only won the "RPS George and Doreen Pollock Medal" for the best new entrants (being awarded by Keith Scott FRPS in pic alongside), but were also awarded a Highly Commended PAGB ribbon for their sequence. Howard Bagshaw entered "Migrant Mother" and won the PAGB Bronze Medal for third place. Big congratulations to all for raising the profile of the Staffordshire AV group. 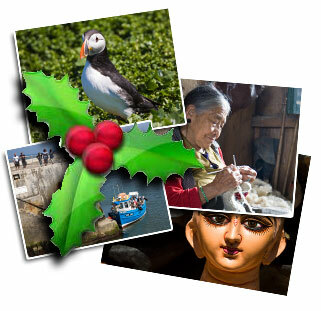 Full details of all entries award winners and photos are available on the AV News website here. If you're looking for other AV events, have a look at the AV News website, or link to the diary here. The latest version of Pictures to Exe (version 6.5) is now available. As usual go to www.wnsoft.com , and on the front page look for 'click here to download' in the 'latest news' section. Note that the new file will not overwrite your current version of PTE so you can have both running concurrently. Remember that there is no additional cost, once you have paid for any version of standard PTE, this is a free upgrade. The licence for video builder/Mac output is additional and valid for two years. Crossfading between audio clips. Multi-tracks and simultaneous playback. Tools for editing of an audio clip (start time, duration, fade in, fade out, time offset, etc). Envelope Tool for an audio clip. In addition to animated GIFs, professionals can use manually animated PNG/JPEG images specially processed in a graphical editor. Better usability, special improvements for editing of 3D objects. Reworked a tree of objects with icons. Automatic naming of new objects. Watch slideshow in HD quality on mobile device. FullHD quality for your slideshows now. A new feature "Insert blank slide". Name of slides displayed in the Slide list. Improved "Go to Slide..." of objects which can use a name of a slide in addition to a slide number. "Show Next/Previous slide" buttons in Slide properties window.